The European Federation of Journalists (EFJ) has backed its affiliate the Trade Union of Media of Montenegro (SMCG) in demanding the authorities in Montenegro to urgently “secure the conditions for carrying out an independent investigation of assassination of Dusko Jovanovic, the editor-in-chief of newspaper “Dan”. It has passed 14 years since our colleague Jovanovic was murdered, and state authorities failed to detect, find and arrest the perpetrators and masterminds of the most grave violation against journalists in the history of Montenegro. 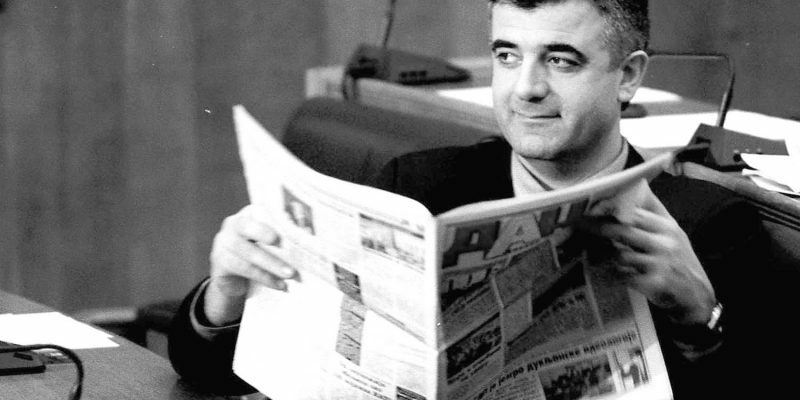 Dusko Jovanovic was killed on May 27, 2004 in front of the editorial offices of his newspaper in Podgorica. After 14 years, only a local organized crime figure called Damir Mandic from Podgorica was convicted as a co-perpetrator of the murder. In the following years after this murder, a series of attacks on journalists in Montenegro accrued and all of them have one thing in common – impunity. Trade Union of Media of Montenegro (SMCG) asks the authorities to finally take responsibility for such situation. As an affiliate of the International Federation and the European Federation of Journalists, SMCG has reported this impunity case to the federations and asked to send the case of the murder of Dusko Jovanovic to be placed on the Council of Europe’s platform for the safety and protection of journalists (CoE Media Freedom) which collects data on the violence, threats and difficulties that journalists face in 47 countries around Europe.